Forget the big 4 banks! 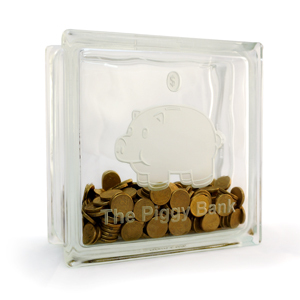 Try your local glass block piggy bank to keep your money safe. No fees, no annoying customer survey phone calls or bank employees trying to sell you life insurance! Just good old fashioned piggy banking. 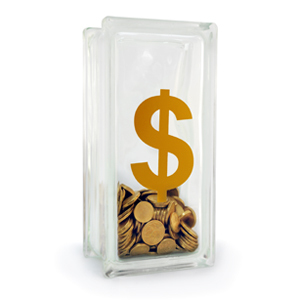 This adorable money box has a specialty etched piggy bank design that our photographs simply do not do justice to. 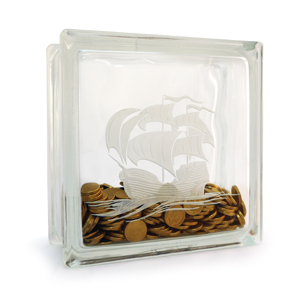 Makes the perfect gift for someone trying hard to save for a particular goal or even a present for yourself to put that spare change away for a rainy day. Specialty etch is a two step process of etching the interior of the glass by hand, giving each design a unique 3D effect that looks fantastic.